The lectures were in an exposed position in a hall on the seafront, and were attended by some two hundred persons of both sexes, including a few children. At the first two lectures the hall was surrounded by a parcel of yobbos “instigated by a Naval Officer” to pull down the house, but no serious incident took place. On the third night about ninety sailors armed with bludgeons burst in upon the audience and laid about them on all sides…. Thelwall attempted to make his escape, was seized at the door, was rescued by some friends, and (not without presenting a pistol at an assailant) made his get-away to a house which the crowd later threatened to pull down…. Several of the auditors were seriously injured and the victors carried trophies, including shawls, bonnets, wigs, shoes, hats coats and Thelwall’s books, back to their ships. To the honour of Thelwall and the Yarmouth reformers, the three remaining lectures were safely delivered (161). These events occurred at a time when Thelwall’s movements were being carefully tracked. Barred by the infamous Two Acts from speaking openly on political subjects, the radical reformer cloaked his politics in lectures on “Roman history,” and continued to travel and speak. Government spies continually tracked him and it is clear in this instance that the mob had been stirred up by loyalists and that the goal of the sailors was to impress Thelwall into naval service (Thompson 162). Apparently Thelwall’s public lectures were so powerful that the government felt it necessary to attempt to close off the unbounded public space of his meetings. Indeed, Thelwall often claimed that the Two Acts were passed in direct response to his lecturing. To attempt speaking was vain; for the noise on every side was like the roaring of the sea. so they dragged me along till we came to the town; where seeing the door of a large house open, I attempted to go in; but a man, catching me by the hair, pulled me back into the middle of the mob. They made no more stop till they had carried me through the main street, from one end of the town to the other. I continued speaking all the time to those within hearing, feeling no pain or weariness. at the west end of the town, seeing a door half open, I made toward it and would have gone in; but a gentleman in the shop would not suffer me, saying they would pull the house down to the ground. However, I stood at the door, and asked, “Are you willing to hear me speak?” Many cried out, “No, no! knock his brains out; down with him; kill him at once.” Others said, “Nay, but we will hear him first.” I began asking, “What evil have I done? Which of you all have I wronged in word or deed?” And continued speaking for above a quarter of an hour, till my voice suddenly failed: then the floods began to lift up their voice again; many crying out, “Bring him away! bring him away!” (418). What is remarkable about this story is that 1. Wesley was an ordained Anglican priest who always preached (even in the open air) in his cassock and bands, 2. The text and message he presents are completely orthodox – in complete agreement with the Book of Common Prayer and the Thirty-Nine Articles, and 3. the vehemence of the mobs reaction and their willingness to use physical violence against the famous John Wesley. Such incidents were by no means isolated in the early years of Methodism. Methodists, though legally still part of the established Church, were routinely harassed by fellow citizens who looked upon them with suspicion and contempt. 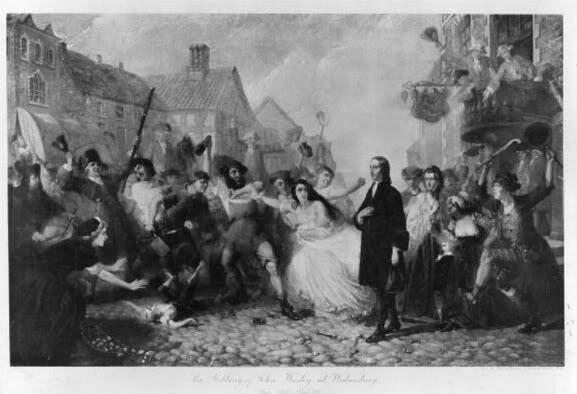 Riots regularly broke out at Methodist meetings, chapels were vandalized and destroyed, preachers were attacked and/or pressed into the army and navy and Charles Wesley was brought before the magistrates on charges of Jacobitism. Clearly toleration had its bounds even within the establishment. Traditional interpretations of both of these events would have us believe two things: 1. 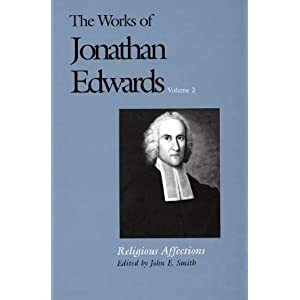 That there is little or no connection between the lectures of the secular, radical, enlightened Thelwall and the preaching of the conservative, enthusiastic, religious Wesley and 2. That the objection to both of these men’s teaching was based on radical content (in the case of Thelwall) or unorthodox doctrine (in the case of Wesley). In the first case I would argue that the distinctions between enthusiasm and enlightenment have been largely overblown, as Michael Warner has recently pointed out it is not even, “clear that enlightenment and evangelical religion were recognizable to contemporaries as opposing forces” (Preacher’s Footing 368). In the second case I would argue that objections to content or doctrine alone to fully explain the vehemence of the public reactions against both men. Instead, the violent reaction to both Thelwall and the Methodists is better explained by how both used the expanding public sphere afforded by the closely intertwined discourses of orality and print to disrupt established order in both politics and religion. Indeed I would further argue that it is exactly the discourse that is at stake here, not the actual doctrine of justification by faith. As Michael Warner has argued, we must attempt to understand evangelicalism “not by the doctrinal emphasis which has so far dominated the intellectual history of evangelicalism since almost all of these doctrinal elements could be found almost anywhere, anytime,” and instead move toward an approach that examines the “discourse culture of evangelicalism” (Printing and Preaching 31:00). To do so we must examine the discourse of popular evangelicalism more broadly – moving beyond print to the relationship between print and orality in early evangelicalism. As Warner puts it, “In a movement context that mixes printed and preached sermons with pamphlets and newspapers, performance and print were densely laminated together” (Printing and Preaching 42:00). Likewise the opposition to Thelwall’s lectures is not adequately explained by objections to his radicalism – the ideas he presented were not new and in fact that had been largely developed by others – what was new was the way he powerfully translated these ideas into discourse. In the case of Methodism this confluence between print and orality was inherent in the Methodist media culture. In his published Journal, John Wesley not only records his extensive travels, but also details the sermons he preached – many in the open air to thousands of listeners. 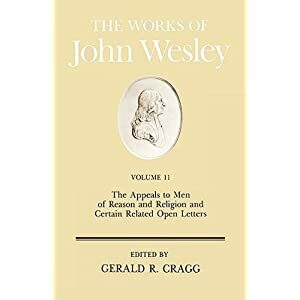 However, in contrast to his printed sermons which are composed and arranged specifically for publication, in the Journal Wesley usually only recounts the Scripture passage he preached on and the number of people he preached to. These mostly ex tempore public sermons were shaped by his context and his public audience, and the account of them in the printed journal thus highlights the unbounded nature of his audience and his text. Nevertheless, the fact that an account of the sermon made it into the Journal and that some version of it was eventually printed illustrates the closely intertwined nature of Methodist public space. However it was the very unbounded nature of open air Methodist itinerant preaching that was perceived as the greatest threat to the established social norms. Anglican parish preaching was directed in mostly set language (The Book of Common Prayer and the Homilies) to a very specific and set group of people within a sanctioned public space by an ordained priest – itinerant Methodist preachers, on the other hand, openly operated outside of this established structure. Mostly un-ordained and uneducated, and thus outside of the established structure, they moved from town to town preaching ex tempore in the open air or unsanctioned chapels. Many of their sermons were never printed, nevertheless the storm of controversy they stirred up (both for and against) clearly made its way into print and informed the national conversation on the Revival. Thus it was this “unauthorized” entrance into the public space of preaching – the claim to be able to address an unbounded audience – that caused much of the animosity towards Methodism. In other words, to paraphrase Michael Warner, it was the discourse not the doctrine of the revival that was at issue. In many parts of the kingdom new conventicles have been opened in great number, and congregations formed of one knows not what denomination. The pastor is often, in appearance at least, an illiterate peasant, or mechanic. The congregation is visited occasionally by preachers from a distance…. It is very remarkable, that these new congregations of non-descripts have been mostly formed, since the Jacobins have been laid under the restraint of those two most salutary statutes, commonly known by the names of the Sedition and the Treason Bill. A circumstance which gives much ground for suspicion, that Sedition and Atheism are the real objects of these institutions, rather than religion. Indeed, in some places this is known to be the case. In one topic the teachers of all these congregations agree; abuse of the Established Clergy, as negligent of their flocks, cold in their preaching, and destitute of the Spirit…. It is a dreadful aggravation of the dangers of the present crisis in this country that persons of real piety should, without knowing it, be lending their aid to the common enemy, and making themselves in effect accomplices in a conspiracy against the Lord, and against his Christ. The Jacobins of this county, I very much fear, are, at this moment making a tool of Methodism (19-20). Even here, then, the lines between reason and enthusiasm are (in the mind of the Establishment) dangerously blurred and potentially indistinguishable in the minds of a supposedly gullible population (for more on this see Robert Ryan). And indeed it was this blurring of the lines between reason, enthusiasm, and discourse cultures in both Thelwall and Wesley that most alarmed the establishment. Edmund Burke, for example, deplored the use of print in the service of enthusiasm and radicalism, condemning its ability to “make a kind of electrick communication everywhere” (380). According to Burke such “‘mechanic’ spasming of enthusiastic philosophers” (Mee 91) did not provide the space for reflection that was supposed to be necessary for reasoned discourse (see Jon Mee, Romanticism, Enthusiasm, and Regulation for more on this). Moreover this early evangelical (and radical) media culture worked to form a type of feedback loop within which the genres of public oral sermon and printed discourse were constantly in conversation. 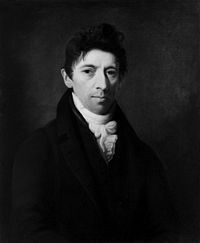 Both Thelwall and Wesley not only lectured and preached, but had their discourses printed and then commented on in newspapers and the public sphere at large. And it was this feedback loop of orality and print that truly threatened to break down the established public boundaries between private belief and public life. Thus, these lines of congruence between the enthusiastic religion of Wesley and the enlightened radicalism of Thelwall work to further break down the tenuous divide between enthusiasm and enlightenment. Though espousing radically different philosophies, it is clear that both the Evangelical Revival and radical reformism arose from the same types of discourse cultures –cultures that helped simultaneously construct and disrupt the public sphere. As Foucault has pointed out, “we must conceive discourse as a series of discontinuous segments whose tactical function is neither uniform or stable. To be more precise, we must not imagine a world of discourse divided between accepted discourse and excluded discourse, or between the dominant discourse and the dominated one; but as a multiplicity of discursive elements that can come into play in various strategies” (100). In this case, instead of constructed a false opposition between liberal radicalism and religious enthusiasm (as scholars like Mee and Makdisi have done) we should instead be considering that ways in which both participated in the same subversive discourses or at lease used the newly available “multiplicity of discursive elements” to disrupt the status quo. In doing so we can also call into question the problematic secularization narratives that have dominated eighteenth century and Romantic studies. 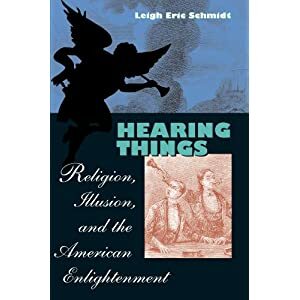 At the end of the eighteenth century, so the narrative goes, the enthusiastic babbling of the religious fanatics was inevitably aesthetisized (in high Romantic poetry and art), politicized, and secularized (in radical reformism). According to this narrative, then, the politics of Thelwall and the poetry of Wordsworth are part and parcel of the same linear un-halting progression away from an “unreasonable” religious past – a complete break with its enthusiastic other. Instead what this discursive construction of enthusiasm and Enlightenment reveals is that in many ways the two worked symbiotically throughout the century to create the discourse conditions necessary for secularization itself. In other words, in many ways secularization was constituted as a discourse within religious structures themselves (see Callum Brown, David Hempton), and it then worked its way outward through the confluence of orality and print in the swirling nexus of the public sphere. Thus the poetry of Wordsworth and the politics of Thelwall are not so much the secularization of the religious impulse as they are part and parcel of that impulse itself. Brown, Callum G. The Death of Christian Britain: Understanding Secularisation, 1800-2000. London: Routledge, 2009. 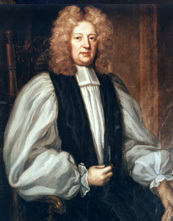 Burke, Edmund. The Writings and Speeches of the Right Honourable Edmund Burke, Vol. V. Boston: Little, Brown, 1901. Foucault. Michel. 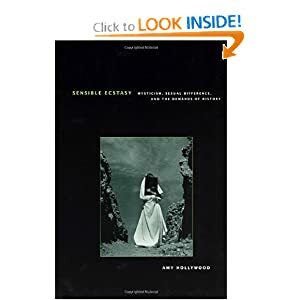 The History of Sexuality, Vol. 1. New York: Vintage, 1978. Hempton, David. Methodism: Empire of the Spirit. New Haven, CT: Yale University Press, 2005. Horsley, Samuel. The Charge of Samuel Lord Bishop of Rochester, to the Clergy of His Diocese, Delivered at His Second General Visitation, in the Year 1800. London: Robson, 1800. Ryan, Robert. The Romantic Reformation: Religious Politics in English Literature, 1789-1824. Cambridge: Cambridge UP, 1997. Thompson, E.P. “Hunting the Jacobin Fox.” The Romantics. New York: The New Press, 1997. Warner, Michael. “The Evangelical Public Sphere: Printing and Preaching: What is a Sermon?.” A.S.W. Rosenbach Lectures in Bibliography. University of Pennsylvania. 25 March 2009. —. “The Preacher’s Footing.” This is Enlightenment. Ed. Clifford Siskin, and William Warner. Chicago: U of Chicago P, 2010. 368-382. Wesley, John. The Journal of the Rev. John Wesley. London: Kershaw, 1827. This entry was posted in Eighteenth Century, Literature, Methodism, Print Culture, Public Sphere, Religion, Uncategorized and tagged Eighteenth Century, Evangelical, John Wesley, Methodism, Print Culture, Public Sphere, Romanticism, Thelwall. Bookmark the permalink.